This is your source for great free content at every level. We understand the challenges you face and have tips, techniques and tools for you to add to your “bag of tricks”. 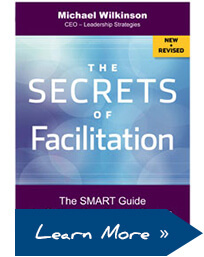 Your next meeting, consultation, strategy session or interaction will be improved when you harness the power of facilitation! Click any ebook or download below to get started. 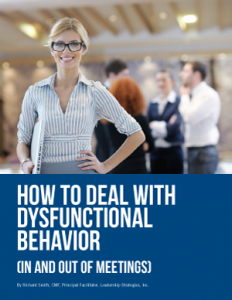 Dysfunctional behavior in meetings is no joke. Side conversations, late arrivals, negativity, and a host of other bad behaviors can cause a facilitator high anxiety – and for good reason. 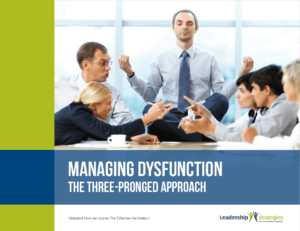 This eBook will show you some tips and tricks to help get you through some of the worst dysfunction out there. Holding bad meetings is the equivalent of burning money. 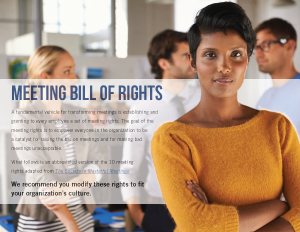 In this article, learn about three different approaches to transform your organization’s meeting culture. 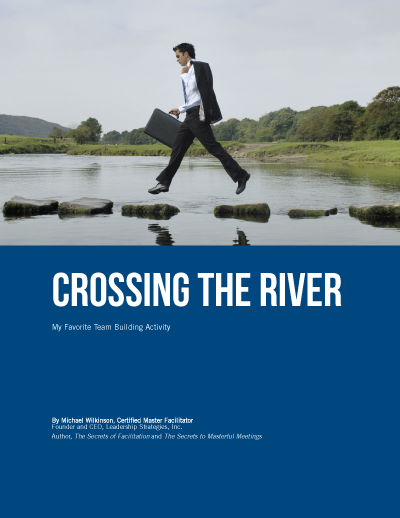 Michael Wilkinson, CMF™, gives you some tips to determine your team’s critical success factors and provides some additional resources to fix common meeting problems. 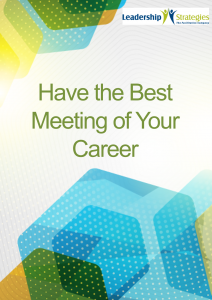 Was your last meeting a disaster because you didn’t have the proper tools to prepare for it? Did you “wing it” without an agenda? 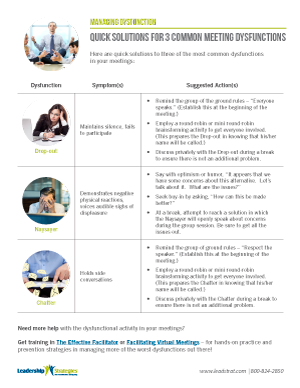 Here is a tool to help you prepare for your next meeting (because – trust us – you can’t and shouldn’t always wing it). Developing an effective strategic plan for your organization is not an easy task, but with the right guidance, it is absolutely possible. At the core of strategic planning are universal components that every leader needs to know in order to develop a strategy that works. Learn about those essential components here. Have you exhausted countless hours developing strategic plans that have not been implemented? Or, are you developing a plan for the first time and not sure where to begin? You are not alone. While success rates for strategic plans are typically poor, creating and executing an effective strategic plan is possible – when you follow the right steps. 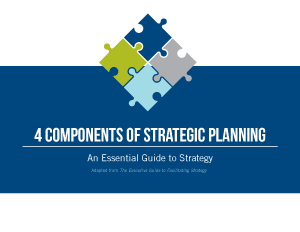 Simplify your approach to strategic planning. Follow these 5 steps to plan your strategy toward one destination: Success. A facilitated session is a highly-structured meeting in which the meeting leader (the facilitator) guides the participants through a series of pre-defined steps to arrive at a result that is created, understood and accepted by all participants. How do you do just that – get to a result that is “created, understood and accepted”? 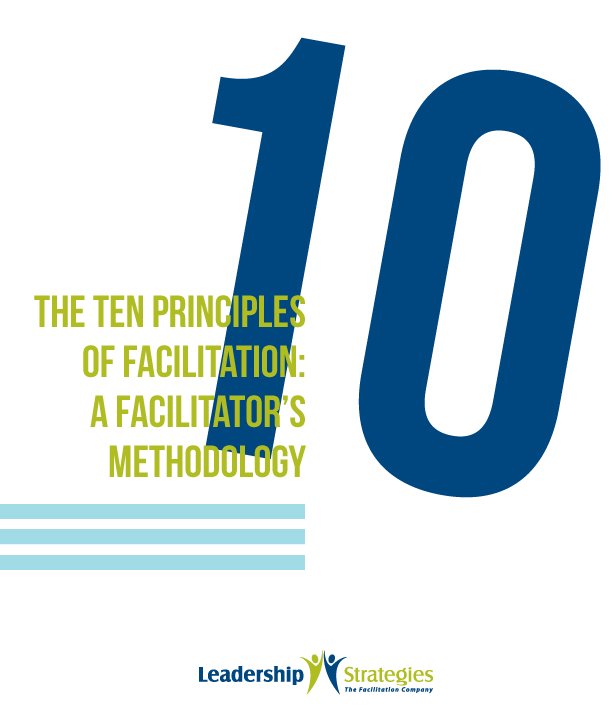 The answer lies in ten principles that make up the framework of a facilitated session done right – what we call The Facilitator’s Methodology. Some trainers use words to describe something that should be happening in the learner’s head that cannot be seen. Is this a good thing? No. 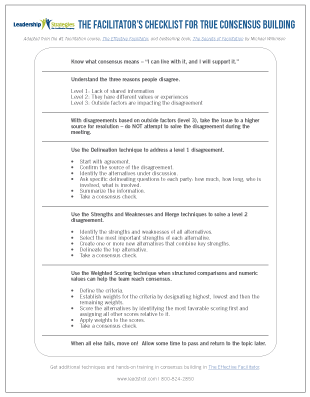 When you train a group and want to evaluate results, make sure your learning objectives are constructed in a helpful way for you and your learners. Develop learning objectives that are clear, measureable and observable. 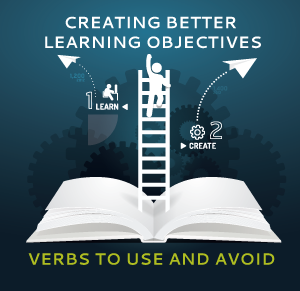 Here’s a free guide on what verbs to use and avoid in learning objectives. 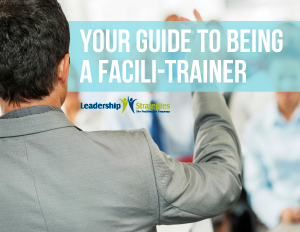 Take a close look at the traits between trainers and facilitators to help you hone your facilitation skills and understand how to use them as a trainer or a facilitator. Trainers and facilitators share many of the same traits. But… the two lists are different in a significant way. Explore them here. 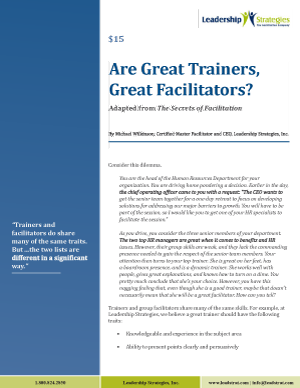 Download this article for FREE (a value of $15) – “Are Great Trainers Great Facilitators?” adapted from The Secrets of Facilitation by Michael Wilkinson, Certified Master Facilitator and CEO of Leadership Strategies. 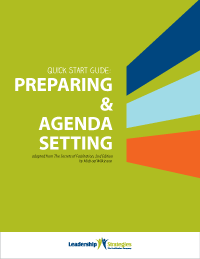 When it comes to strategic planning, an important part of the planning is not just the coming together to create it – but also the prep work to make sure you’re ready to begin on the right foot. Is your team ready? 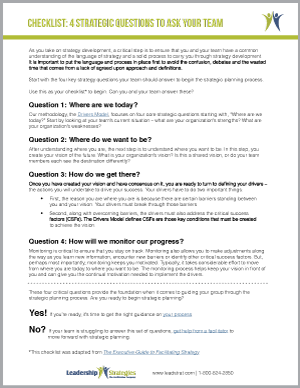 Start with these four key strategy questions before beginning the strategic planning process. Why do most plans fail? What are the pitfalls? Why is it so hard to get a plan executed? 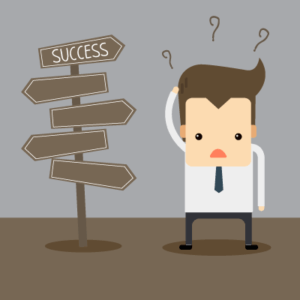 While there are a variety of reasons strategic plans don’t successfully follow through, the pitfalls of execution are a primary cause of this. Here are the “whys” our master strategic planning facilitator found. 90% of people admitted to daydreaming during meetings, 70% brought other work to meetings, and 40% have dozed off during meetings – according to the “Meetings in America” Verizon Conferencing White Paper. 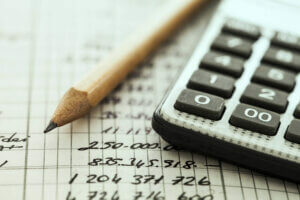 Given these alarming statistics, how much do meetings really cost you? Download this FREE calculator. Simply fill out the short form below. 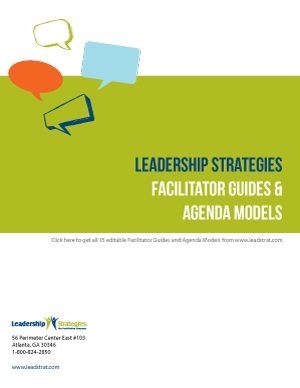 Get a preview of The Executive Guide to Facilitating Strategy. 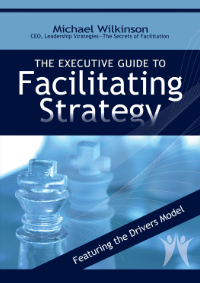 This book provides executives, leaders and facilitators with a step-by-step resource for guiding their team through all phases of the strategic planning process – from gaining the team’s buy-in to do planning and identify strategic issues, all the way through organization alignment, implementation, monitoring and making adjustments. 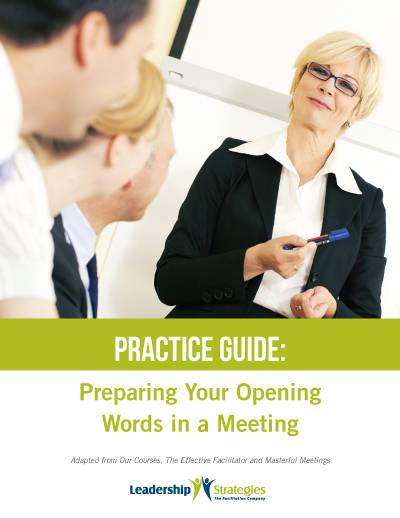 This simple & free ebook features tips to prepare for a meeting, a quick approach for setting your agenda, & a checklist Certified Master Facilitators use. Like every great consultant or project manager, you want to successfully meet your client’s needs. Your first step is to understand their needs and gather all of the information necessary from the beginning. How do you do this? It’s not just by asking questions – it’s by asking the right questions. 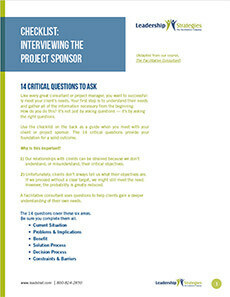 Download this free checklist – your guide for asking 14 critical questions you need to know when you interview your project sponsor or client. There are many types of information gathering and processing activities that serve as building blocks for group sessions. 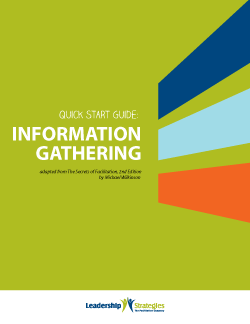 This guide provides several strategies for information gathering. While this list is not meant to be exhaustive, here are seven, common information gathering techniques you can apply. Meetings here. Meetings there. 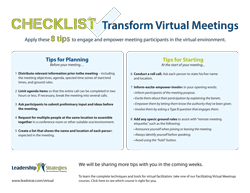 More organizations, from retail to real estate, are holding virtual meetings as a way to improve productivity and reduce costs. 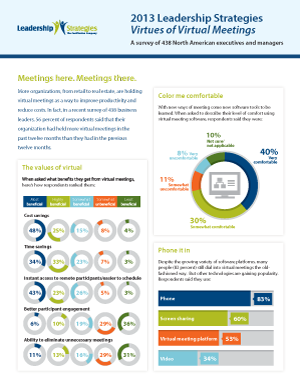 In fact, in a recent survey of 438 business leaders, 56 percent of respondents said that their organization had held more virtual meetings in the past twelve months than they had in the previous twelve months. 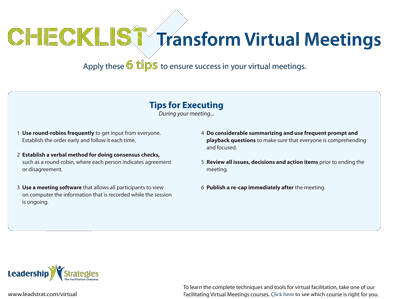 Add six more tips to your virtual meetings checklist. More eBooks and Downloads coming soon!